I'll be honest... I'm not into anime or anything like that. I was into Pokemon when I was a kid, but that's really as far as it's ever gotten. With that being said, since this was a request, I hope that I was able to do what the requester has asked. 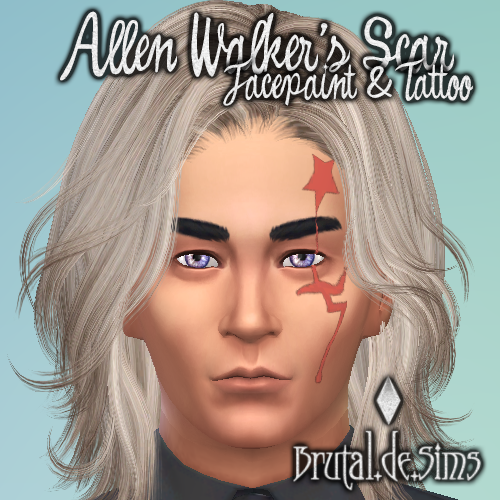 I made the scar as face-paint & as tattoos for both male and female. I tried to make it as close to an anime-type style as my skills would allow me. As usual, everything is non-default, standalone.